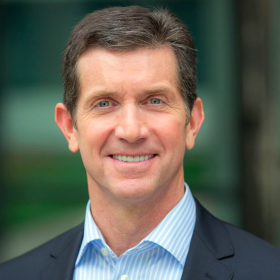 Alex Gorsky is Chairman of the Board and Chief Executive Officer of Johnson & Johnson and Chairman of the Executive Committee, the Company’s senior leadership team. Alex is the seventh person to serve as Chairman and CEO of Johnson & Johnson since it became a publicly traded company in 1944. Alex began his Johnson & Johnson career as a sales representative with Janssen Pharmaceutica in 1988. Over the next 15 years, he advanced through positions of increasing responsibility in sales, marketing, and management including assignments in the US, Europe, Africa and the Middle East. He progressed through many management posts at J&J, culminating in being named Chief Executive Officer on April 26, 2012 and Chairman of the Board on December 28, 2012. A longtime advocate of diversity inclusion and Veteran’s issues, Alex has been named one of the “100 Most Inspiring Leaders” by Pharma Voice. Most recently, in March of 2017, Alex Gorsky was recognized by the Jackie Robinson Foundation for promoting the humanitarian ideals embodied in the life of the legendary baseball hero. And for the past three years, Alex has been on the list of leaders on The Glassdoor Employees’ Choice Awards, based entirely on employee feedback. He has also received the Appeal of Conscience Award, the Joseph Wharton Leadership Award and the CADCA Humanitarian of the Year Award. Alex was recently asked to join the Administration’s Manufacturing Council, to provide advice on manufacturing policy, and create recommendations to grow the American manufacturing sector in the U.S.
Alex is a member of the Board of Directors of IBM, the Travis Manion Foundation, the Congressional Medal of Honor Board of Directors, the Board of Directors of the National Academy Foundation and the Wharton School of Business Board of Overseers. He is also a member of The Business Council and the Business Roundtable. He holds a Bachelor of Science degree from the U.S. Military Academy at West Point, N.Y., and spent six years in the U.S. Army, finishing his military career with the rank of Captain. Alex earned a Master of Business Administration degree from The Wharton School of the University of Pennsylvania in 1996.